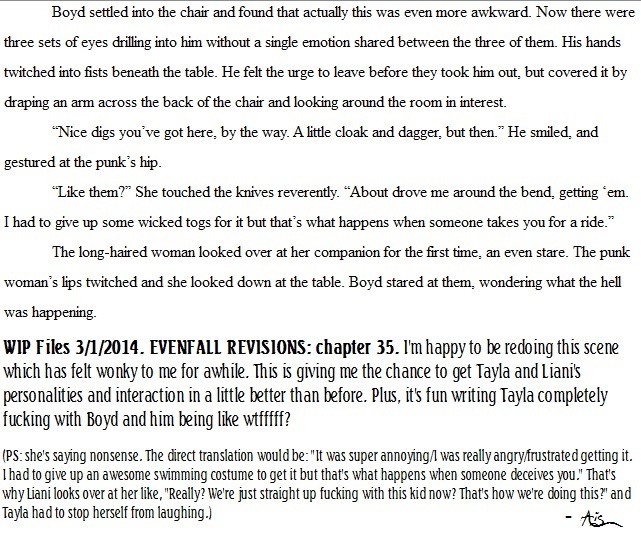 WIP Files, 3/1/14, Evenfall rewrite. This scene hasn’t been edited yet since I JUST wrote it, so I’m sure things will be adjusted and possibly even changed. I just wanted to share my amusement at how fun it is to work on the Tayla/Liani intro chapter again.